Link Global Management can provide a full range of payroll services in Spain. The individual will be engaged on our payroll and income is paid in the form of salary, allowances and expenses, the proportion of each part depending on individual circumstances. Link Global Management will discuss your personal circumstances with you and help you to minimise your tax and social security liabilities, within the boundaries of Spanish legislation. Income is managed tax efficiently, not just in Spain but also in any other country where there may be a liability. A tax return is filed each year in Spain with advice and assistance from Link Global Management who will also provide help with filing tax returns elsewhere, if required. The individual must not have been a Spanish tax resident in the 10 years preceding the tax year of his or her arrival in Spain. The assignment in Spain must be based on a labour contract (Spanish local contract or letter of assignment). The employment must be physically performed in Spain and for the benefit of a Spanish company. The individual must apply for this special regime within six months of his or her arrival in Spain in accordance with the established election procedure. This six-month period cannot be extended. On 10 June 2005, the Spanish government approved Regulation 687/2005, which modified the Spanish personal income tax regime for expatriates. 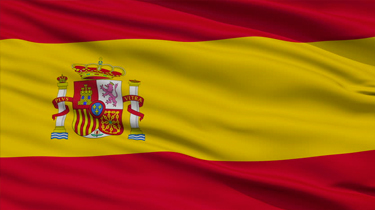 Under the modified regime, an employee assigned to Spain who meets the criteria for being considered a Spanish tax resident may elect to be subject to tax under the nonresident taxpayer rules. The expected employment compensation derived from the labor contract must not exceed €600,000 per year. Thinking of contracting in Spain?